Responsive Web Design was introduced into the world of web design a few years ago and it is due to the introduction of a new device to surf the Internet (a mobile device). The only Web Design issues prior to responsive design was that of browser compatibility but with the introduction of mobile devices there came the need for platform compatibility as well. It is not just an small issue any more but a necessity. 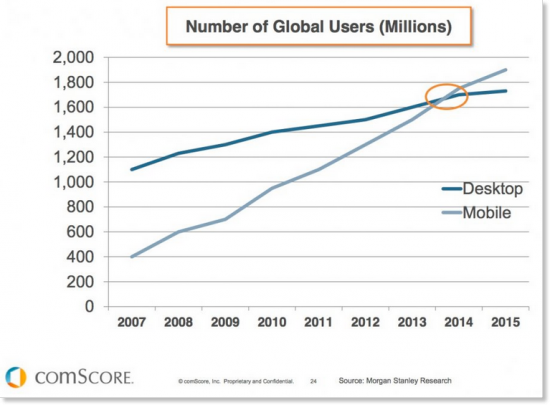 The reason being that an increasing number of people are now using a mobile device to access the Internet. As per the statistics published on the Internet the number of mobile Internet users were rapidly increasing over the last two years. But this year (2015) they have exceeded the number of Internet users on other devices and hence Mobile Internet users make the biggest share of Internet users. Thus it is no big surprise that there almost every web development company is a responsive web development company In fact the popularity responsive web design in India in on the constant rise. Media Queries: This strategy is based on invoking different style sheets based on the capabilities of the display that is being used. What a media query is a media type along with one or more expressions that limit the style sheet scope. This is done via the media feature like width, height and color. Liquid or fluid layout: This strategy involves defining the container width in terms of percentage of the viewport of the browser. What this means is that they expanded and contracted as the browser windows changes. Fluid images: This strategy involves setting the image to occupy the maximum display width (as maximum). Alakmalak is a web development firm that has been around for while. Having developed more than 2000 Websites for clients all around the globe they have a great deal of experience under their belt. But this is a firm that always stays a step ahead. They do so by keeping pace with the evolving world of technology and striving to produce the best possible solution for their clients.